One of the wonderful aspects of touring with a qualified driver guide who has a great deal of experience is that the tour can be tailored exactly to suit your requirements. Be it a day in London or several days in London to cover the area in greater depth, English country tours to classic places such as Stonehenge, Bath, Stratford Upon Avon, Windsor, Hampton Court, Warwick Castle, Chartwell. Or shall we go exploring an individual subject of special interest to you such as castles, historical country houses, English country gardens, cathedrals, gourmet tours through France, World War I battle sites, the D-Day landings, French/Italian/Swiss Alpine tours, a drive along the Cote d'Azur, vineyards of France, the fascinating city of Bruges or the wild and rugged country side of Ireland? A very short list and description of the most popular English tours is given here under but the major feature to remember is that we offer specialist knowledge and that any combination of places in Europe can be put together to suit your time, your interests and your budget. 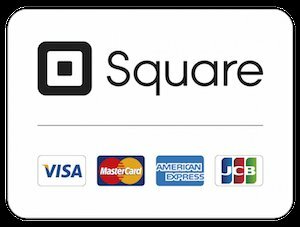 Welcome to our site where we will tell you about the many personalised and tailor-made exciting, satisfying and informative sightseeing tour possibilities. 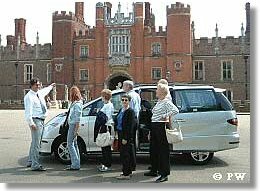 Enjoy a private tour with us on your visit to London, England, Ireland, France or indeed anywhere in Europe. Let me assist you in proposing a made-to-measure sightseeing package designed especially to suit your interests, budget and pace! Hever ~ Nearby to Chartwell is this truly lovely moated Manor House set in beautiful rose gardens and also having a maze. Ancestral home of Anne Boleyn. 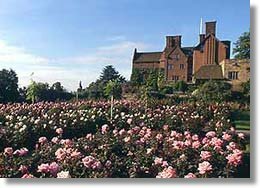 Penshurst Place ~ Famous for its Hammer Beamed Baronial Hall. Ancestral home of the Sidney family stretching back to the Elizabethan era. Knole ~ An Elizabethan Calendar Stately House set in one of the last remaining deer parks, to be enjoyed by you as it was also by Henry VIII, on his visits. Leeds Castle ~ Its reputation as a romantic Ladies Castle is well founded and much aided by the fact that it is still to this day fully moated and sits in wonderfully landscaped grounds. Be introduced to the development of London's 2,000 year history, as well as contemporary aspects such as museums, galleries, parks or where the best shopping, restaurants and hotels are situated. Your guide will open your eyes to the secrets of the past and today's life in our capital. 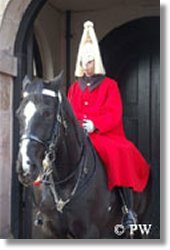 A one-day tour is long enough to drive by the major sites, witness the Changing of the Guard, a brief visit to either Westminster Abbey or St Paul's and also experience over 900 years of British History at the Tower of London. Half day visits to both these royal palaces can be undertaken in one day, although it is quite a tight schedule. 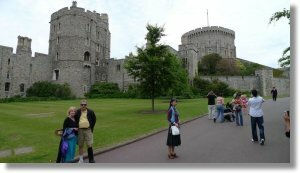 Windsor Castle, which was created at the same time as The Tower of London is not only our Queen's official home but where heads of state are entertained in the State Apartments. Hampton Court, by the River Thames like Windsor, is however quite a contrast to Windsor - being primarily a Palace based upon pleasure rather than fortification. Churchill’s home, the place to find out about his amazing life. A visit to Chartwell is your chance to get to know one of Britain's greatest leaders, Winston Churchill, on a very intimate level. This was the house that was acquired by WLSC in his wilderness years in the 1920's. It was greatly modified by him to suit his gargantuan grip on life. Not only this but this is a large and very delightful house and grounds to visit, always leaving visitors with a specially warm feeling about their personal pilgrimage to the saviour of the free world. This was the Palace gifted by Queen Anne, on behalf of the nation, to the first Duke of Marlborough in gratitude for the Duke's victories over the French in the wars of the Spanish succession, culminating finally in the Battle of Blenheim, and hence the name. 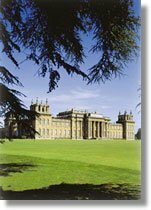 This is an absolute masterpiece of Baroque architecture, created by Vanburgh, and there is the chance also to discover the State Rooms as well as Churchill's birthplace and the wonderful grounds in which the Palace stills glows in the glory created by the landscape artist Capability Brown.